What is digital signage? We define it this way: a cost-effective, flexible way to present products and services, increase sales and promote your brand using high impact presentations displayed on one or more TV screens. We’re going to introduce you to digital signage and present its benefits. This article is aimed at non-technical users and small business, two groups that have been under served by this exciting technology. We will also introduce you to PowerPlayer™, a digital signage solution that is based on PowerPoint. With PowerPlayer you create and display digital signage on your TV using PowerPoint. With its low-cost and ease of use, PowerPlayer is an ideal digital signage solution for non-technical users and small business. Digital signage eliminates printing static sales and marketing material, replacing them with cutting-edge multimedia presentations a standard TV. Unlike printed material a single TV can display multiple customer messages one after another or based on time-of-day or day of the week. Digital signage is ideal for health care, retail outlets, banks, hotels and food chains. In short: any business with walk-in customers. You can use it to capture your customer’s attention using high impact video and eye-catching images. From a technical view our digital signage introduction will focus on the following: content creation, content management and content display which we will outline in the following sections. All digital signage products provide a wide way for users to create signage content. Most products provide a proprietary content creation tool, allowing you to specify screen layout, add text, graphics and video to be displayed on your TV screens. Other options are to use widely available off-the-shelf content creation tools like Microsoft PowerPoint or Adobe Photoshop and Illustrator. For small to mid-size businesses we strongly recommend using PowerPoint to create your signage content. Leverage PowerPoint’s flexible layouts and widely available digital signage templates to create great looking content. Combine background images, text, pictures, animation effects and cutting-edge HD video to produce multimedia signage that drive home your marketing message. A customer uploads their digital signage content to the CMS where it is stored. In order to display signage a customer will assign the uploaded content to one or more TV points. Typically, the signage content is automatically downloaded and displayed on assigned TV points. In order to display content on a standard TV a digital signage media player is required. The media player is a networked device that connects to your TV’s HDMI source input. It’s responsible for downloading signage presentations from the CMS and displaying them on your TV. Most standard digital signage media players are proprietary devices that boot into some version of an embedded Android or Linux operating system. These devices run digital signage software supplied by the product vendor. 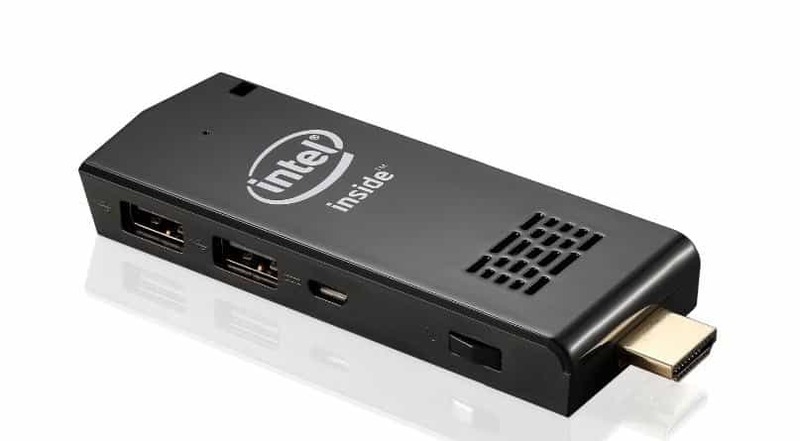 An new class of digital signage media player has emerged: the PC stick, also called the Intel compute stick. A PC or compute stick is a pocket-sized mini-PC that plugs directly into your TV’s HDMI port. Their small size and low cost make them ideal for use as a digital signage media player. Despite their small size (and low price) PC and compute sticks are capable of displaying dynamic, full-motion video in full HD. Most sticks are bundled with Windows allowing them to support PowerPoint-based digital signage. Most digital signage applications use standard LCD or LED TV displays. TV displays are normally directly connected to their media player via the HDMI input using a standard HDMI cable. However in certain environments–for example, a shopping mall–it may be practical to use some type of cable distribution network to connect the TV displays to their media players. A typical example is to transmit the TV video signals over a CAT-5/6 cable network. In this scenario the media players are housed in a secure equipment room. Many question whether it is prudent to use consumer-grade TV display for digital signage which typically runs continuously, 24 x 7. The short answer is yes. While running a low-priced consumer TV for digital signage may shorten its life the choice will typically come down to cost. For example, it’s cheaper to use a low-priced consumer-grade TV that lasts only 7 years compared with a commercial-grade TV that lasts 10 years but costs twice as much. An example of a complete digital signage system is PowerPlayer™. PowerPlayer is a low-cost mini-PC signage media player that displays PowerPoint digital signage presentations on your TV. PowerPlayer is bundled with PowerSignage™, our cloud-based digital signage content management service (CMS). PowerSignage CMS make it easy to upload, manage and display PowerPoint digital signage presentations on your TV screens. PowerPlayer automatically downloads and displays PowerPoint digital signage on your TV screen. 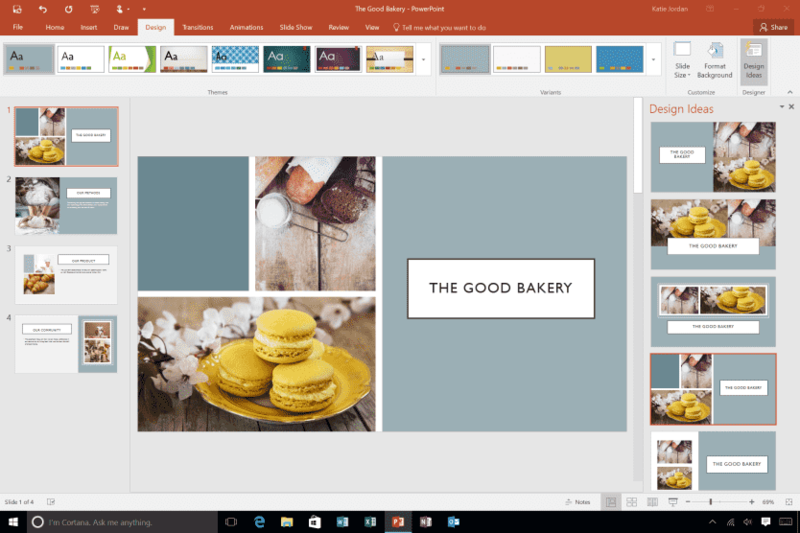 PowerPoint’s overall ease of use and broad multimedia support make it the ideal content creation tool for non-technical users and small business. Combine background images, text, fonts, pictures, animation and HD video using PowerPoint’s flexible screen layout features to create stunning multimedia digital signage presentations. Digital signage is a great way for small businesses to connect with their customers. To present their company’s products, services and timely promotions in a cost-effective yet impactful way. However, the adoption of digital signage in small businesses has been hampered by the high cost and IT requirements. Our PowerPlayer product has made it much easier for small businesses to rollout a low-cost digital signage TV display. If you know how to use PowerPoint then you can create and display digital signage. PowerPlayer is Windows based, something you already know how to use. It is a perfect plug-and-display digital signage solution for small business. For more information please visit our website at https://www.powerdigitalsignage.com. Windows and PowerPoint are the registered trademarks of Microsoft Corporation. PowerSignage and PowerPlayer are trademarks of Power Media Design. Copyright (c) 2017, Power Media Design, all rights reserved. Digital Signage Players What Are PC/Compute Sticks?